Guy Fawkes: Not what you think. I was born on the 5th November 1985. Not many people can say that they had fireworks let off as they were born, but I can. I had never learnt much about why my birthday was so important to British history and culture, until recently. I knew the rhyme and I knew Guy Fawkes had tried to blow up the houses of parliament, which is why we all had a big party. Like most people however, I was never quite sure whether I was celebrating the torture and execution of a traitor or the fact that the government and king were almost destroyed. The story goes that King James I ingrained the tradition into British culture so as to make a mockery of any Catholic rebellion against the throne and government. He encouraged the people to create dolls of the pope and burn them on bonfires. Later on this would have evolved in to what we know as a modern celebration with sparklers and fireworks. Since the release of V for Vendetta in 2005, the mask that is supposed to be the face of Guy Fawkes has circulated and infiltrated resistance movements across the world. I’ve seen it at anti-government rallies, peace protests, the London riots, animal rights demos and most recently at the anti-fracking demos. Let me explain to you why, in the most simplest and uneducated way, Guy Fawkes should not be used as a figurehead of any resistance movement, anywhere. 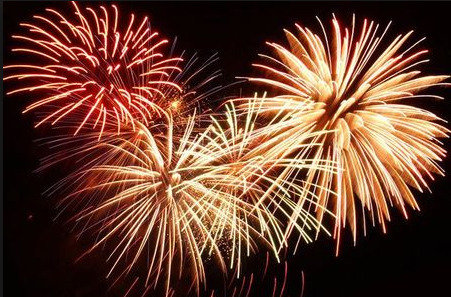 Guy Fawkes was born in York in 1570. His father was a protestant, but his mother’s family had catholic sympathies. When his father died in 1579, his mother remarried a couple of years later, this time to a catholic. Guy subsequently grew up catholic influenced by his step-father, his step-father’s family and the school he attended in York. In October 1591 Fawkes sold the estate in Clifton that he had inherited from his father. He travelled to the continent to fight in the Eighty Years War for Catholic Spain against the new Dutch Republic and, from 1595 until the Peace of Vervins in 1598, France. He became known as a master of war and even changed his name to Guido Fawkes to fit in better with his Spanish comrades. In 1604 Guy became involved with a group of catholic nobles through an old school friend and his brother Christopher. These nobles planned to assassinate King James I and place his young daughter on the throne as a puppet catholic queen. The assassination attempt failed and so the Gunpowder Plot was born and attempted in 1605. Unfortunately for Fawkes, one of his co-conspirators got cold feet and gave word to a friend in parliament. This lead to the discovery of dozens of barrels of gunpowder and Mr Fawkes himself under the houses of parliament on 4th November 1605. He was brutally interrogated and tortured before finally being executed in 1606. Guy Fawkes and his co-conspirators were pro-monarchy. They didn’t like King James I because he wasn’t catholic and imposed various restrictions on practising catholicism. They wanted a catholic king preferably, but a queen who they could marry to a catholic noble of their choice would do. Maybe one of them? Does this sound like the type of people you would want to represent anti-monarchy, anti-aristocracy and feminist movements? Nope! They were also exceptionally pious catholics, hell-bent on civil and holy war. They had the names and addresses of all Scottish protestant nobles living in London and they had every intention of murdering them and their families, had they not been caught. Guy Fawkes would no doubt have been part of this, given his talent for murder on the battlefield. Is this someone you really want to be a figurehead of peace protests? I understand that people want to remain anonymous during demos and protests because of police and CCTV surveillance, but before Guy Fawkes, faces were painted black, clown masks were worn and even at a freedom to protest rally I attended in 2008, we had blank masks with green curly hair. 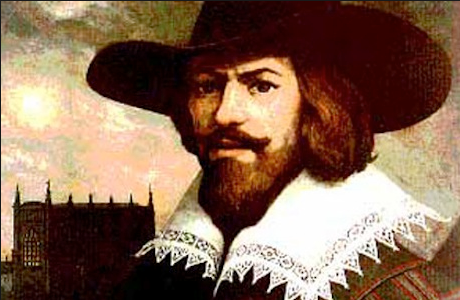 Guy Fawkes was pro-religious piety, pro-state sponsored aggression, a warmonger and certainly not a freedom fighter for anyone other than catholic nobles. It’s time we found someone else who will enter parliament with honest intentions.